What a phenomenal read. It's so deeply illustrative that I challenge anyone to read it and come back as the same person. Stockett presents us with the very intricate spectrum of the black/white relationship; it ranges from hatred and abuse, to love and reliance, and Stockett shows us the differing opinions of both black and white on the racial conflicts in 1960s Mississippi. The plot is strong, and the characters are even stronger. I loved many, hated many, but was given all of their glorious back-stories, and could clearly understand my feelings for them. 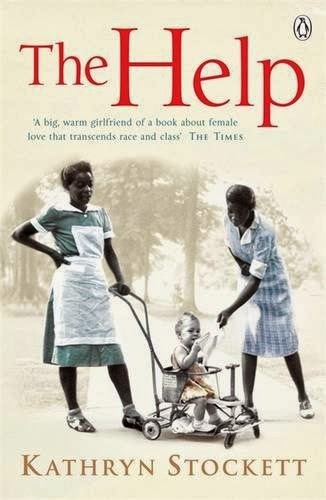 This book isn't just about how the help were treated in the sixties. It's about standing up when you're told to sit down, recognising people are just people, that we're not so different from each other, being courageous when you know you're doing the right thing, and most of all appreciating the quality of a person from the inside. Stockett uses a multiple-voice narrative to portray the thoughts and feelings of three women; two black maids, and one white woman writing a novel based on the working experiences of the others. Each woman's voice is lucid, and feels incredibly real, whilst still remaining distinct from the other two. The women are funny and realistic; I both laughed and cried with them, and found it increasingly difficult to remember they were fictional. You can really feel their voices; feel the fear, the love, the faith, and the sadness. I loved hearing about life in the sixties. Some of the things the vapid white women worried about were unreal, and the way they treated each other was unholy. The social etiquettes, the false charm, the disinterest in their children, and the bitchy bridge club absolutely fascinated me. It's amazing to see how racism can be ingrained simply by the things people are told, how they are raised, and by the power of rumour, or the media. For example, families in the sixties installed separate toilets for their staff, as a scientific report was published advising diseases could be caught, and their children contaminated! I liked this in theory, but felt like it dragged so much and the plot is great so this tends to overshadow people's criticism of the writing itself. I guess I just feel she could have achieved the same thing by being more concise.